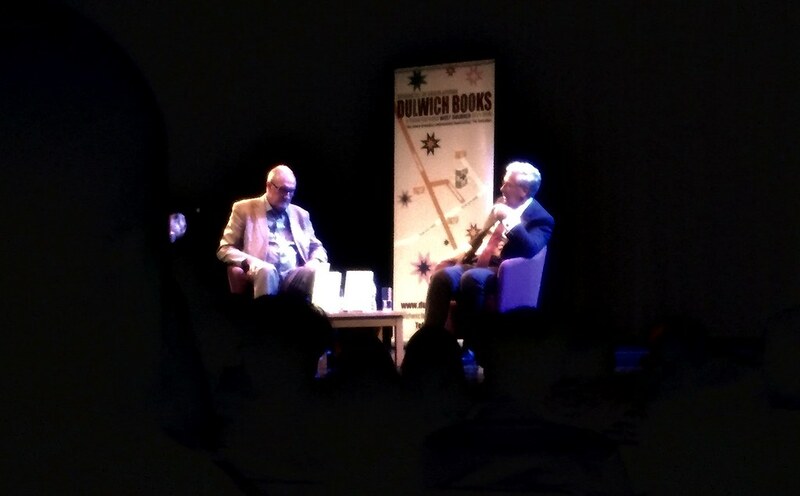 I went to see Melvyn King, ex Governor of the Bank of England, interviewed by Will Hutton last week. It was more interesting than I thought. King spoke very calmly and was able to explain complicated concepts with great simplicity. The book would make a good read. He said many interesting things. He finds it odd that we had the biggest financial crisis for generations and yet we haven’t changed any of the things that caused it to happen. Similarly he said it was odd that none of the financial stimuli we’ve tried of the last 8 years have worked and yet we still keep using the same methods. Asked about banks being too big to fail, he said “Too big to fail and too big to sail and too big to jail”. He explained it was very hard to prosecute banks as they operate complex operations across many countries. Too big to sail - even banking CEOs admitted they were too big to run properly. Six of Phil Collins' albums were recently remastered, so he went back and recreated the covers as well. Via loads of people. Why do they bury the booking ref description? Earlier Benedict Evans tweeted this. Here's what I mean. When you book a train ticket online this is what happens. This example is with Virgin Trains but it's the same with others including the Trainline. Finish booking and you get a screen with a nice big booking ref. The number you have to input to collect your tickets. So far so good. You are offered the option of adding to your calendar. This is useful. Adds to calendar, looks like this. The vital booking ref is now buried in the description. Which is obscured when you look at the calendar. This is especially annoying when you're trying to collect your tickets at 7am and you have your phone in one hand and your credit card, needed for verification, in the other. So I always replace the word train with the booking ref. Instead of saying "Train to Manchester Piccadilly" I put "4CK7JLL2 to Manchester Piccadilly". Looks like this in my calendar. Why can't the booking site do that for me? From the village newsletter, written by Adam. Reprinted as is. David attended Agricultural college after leaving school and had every intention of becoming a farmer, trying to get a small council farm in north Wilts or Gloucestershire but without sucess. He came across an advertisment with Bulter Fuels for an Agricultural Representative working out of the Kingswood Depot at Wooton under Edge, supporting a new fuel tanker that had been purchased. He applied for the position and with his agricultural experience and background together with that personality he secured the job. The first day came and the start was in Avonmouth. Davids' father took him there making sure he knew all of the landmarks to find his way home. Little was he to know that this was to be his home ground for the next 50 years and more. The salary was a staggering £700 per year together with a company car (Ford Anglia in Duck Egg Blue)and a remarkable 12 shillings and 6 pence daily expense allowance! That was on the 14th March 1966 - which David said had to be a Monday because you just wouldn't start work on any other day. David married his lovely wife Liz in 1972 and his hard work paid off in 1979 when he was made Manager of the Warminster depot of Butler Fuels. It was at this time that he moved to Chapmanslade. Over the years he held various positions and was well respected in the industry. As well as supplying fuel to farmers he also became involved in domestic heating fuel and fuel for industry and a variety of commercial uses. Often the new employees would spend some time with David to learn from his experience and sucess. David said he alway had three P s in his pocket - Patience, Perseverance, and Personality - with these three 'you'll get your order'. Many of the people who were trainees under David went on to become managers or directors in the oil supply and other industries. In 2008 Bulter Fuels restructured and David found that technology meant more than experience and discovered that at 65 he was without a job, but still felt he had so much to give. 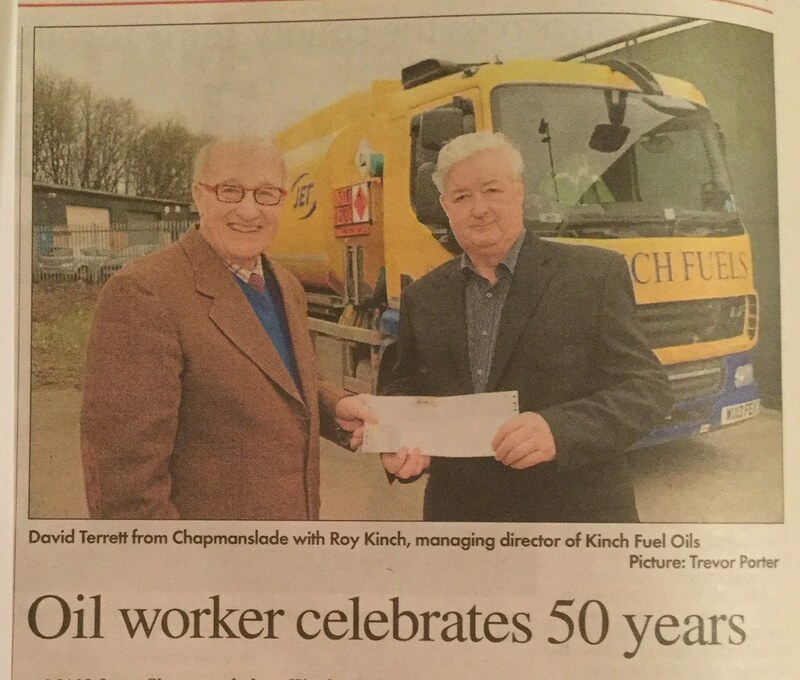 It was Roy Kinch of Kinch Fuels of Minety near Malmesbury that helped David back into the business. Roy recognised the skill and experience that David had and offered him 3 days a week. David was delighted to be back in the saddle and to continue his career supplying fuel to farmers, contractors and industry as well as domestic users. David continues his career with Kinch Fuels and brightens the day of the many people he comes into contact with. One of his secrets for maintaining his energy is his regular visits to Warminster swimming pool where he will complete more than 60 lengths in one session! It has been a joy to write this note about Davids achievement and we congratulate him on his sucess." I have never understood those football diagrams that supposedly tell you what’s happened in a game. How a goal was scored or whatever. And even when I think I’ve understood them I’ve never been sure what the point of them is. This is a good example. 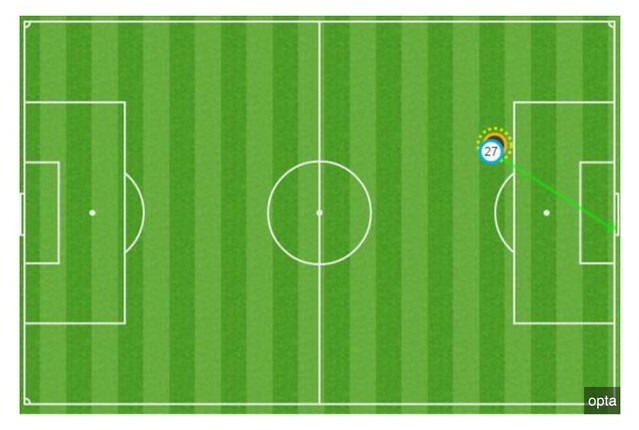 I watched this game, this goal was a free kick that was curled around the wall. In America they have a programme on NBC that shows live Premier League matches, equivalent to Super Sunday (or something) on Sky in the UK. On NBC the programme is called Extra Time. 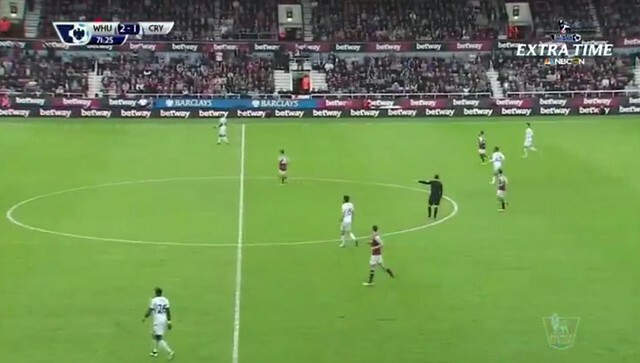 They display the name of the programme in the top right hand corner of the screen for the duration of the match. This screenshot was taken 71 minutes into the game.